On August 26 2014, the new zimbra version 8.5.0 has been released and it surprise us with the new major features available. The following are the major new features and enhancements in Zimbra Collaboration 8.5.0. Please refer to official release note. I have prepared the steps to upgrade zimbra from version 8.0.7 to zimbra 8.5.0. Please note that this entire procedure, is based on a single zimbra server, not in a multi-server zimbra system. ZCS upgrade from 8.0.7 to 8.5.0 will be performed. Schema upgrade required from version 92 to 103. Thu Sep  4 23:30:44 2014: Verified schema version 92. Thu Sep  4 23:30:47 2014: Verified schema version 92. Thu Sep  4 23:30:47 2014: Updating DB schema version from 92 to 100. Thu Sep  4 23:30:53 2014: Verified schema version 100. Thu Sep  4 23:30:59 2014: done. Thu Sep  4 23:31:02 2014: done. Thu Sep  4 23:31:05 2014: done. Thu Sep  4 23:31:09 2014: done. Thu Sep  4 23:31:12 2014: done. Thu Sep  4 23:31:13 2014: Verified schema version 100. Thu Sep  4 23:31:13 2014: Updating DB schema version from 100 to 101. Thu Sep  4 23:31:19 2014: Verified schema version 101. Thu Sep  4 23:31:37 2014: Verified schema version 101. Thu Sep  4 23:31:37 2014: Updating DB schema version from 101 to 102. Thu Sep  4 23:31:43 2014: Verified schema version 102. Thu Sep  4 23:31:54 2014: Verified schema version 102. Thu Sep  4 23:31:54 2014: Updating DB schema version from 102 to 103. Updating global config and COS's with attributes introduced after 8.0.7_GA...done. 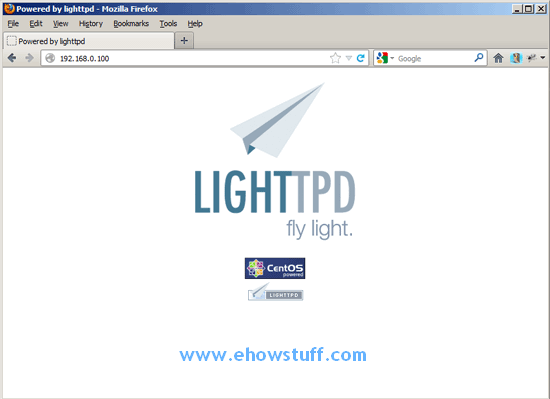 Copyright 2003-2014 Hewlett-Packard Development Company, L.P.
Sysstat contains various utilities to collect and historize performance and monitor server activity on the linux. Sar is part of the sysstat package. by using sar, we can collect, report, or save system resource utilization information. It will help system administrator to troubleshoot performance issues, or to optimize performance. This post will show how to setup and the usage of sar on linux CentOS 6.5. 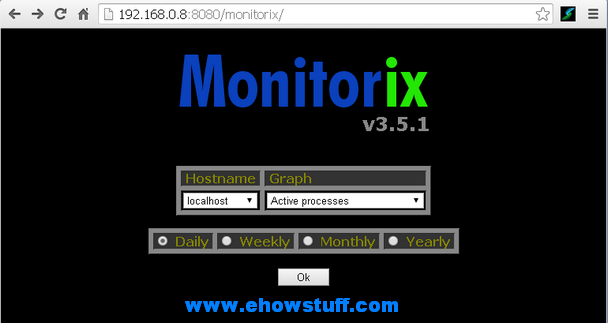 Monitorix is an open source and lightweight system monitoring tool designed to monitor network and system resources in linux/UNIX operating system. Monitorix can collects network and system performce and also resources and then display the informations into graphs. it will help system adn network administrator to detect abnormal activities and detecting bottlenecks. 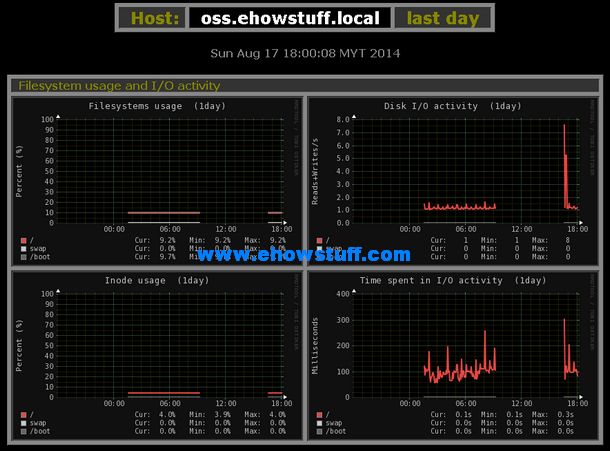 This post will show to setup Monitorix on linux centOS 6.5. Once succesfully installed, please take a look into the configuration file /etc/monitorix.conf to fit your system and enable or disable graphs. 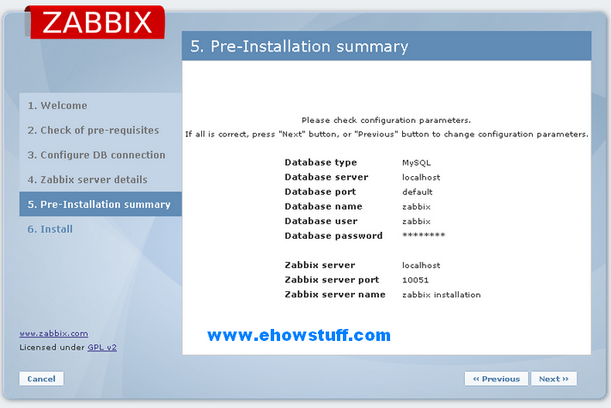 Apache configuration file for Zabbix frontend is located in /etc/httpd/conf.d/zabbix.conf. Some PHP settings are already configured. 11. 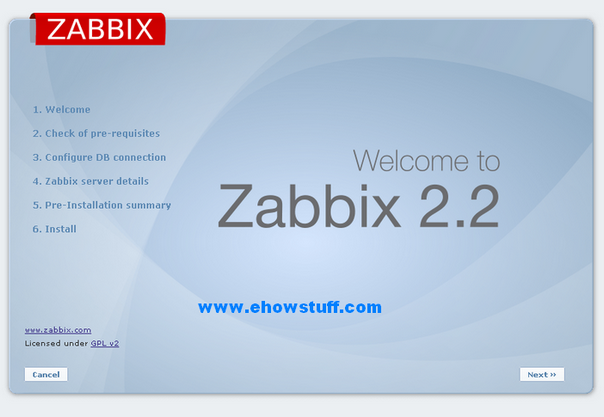 Zabbix frontend is available at http://IP-address/zabbix in the browser. 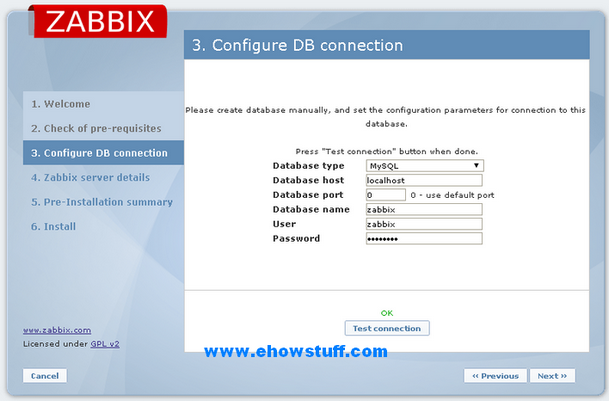 The default username/password is Admin/zabbix. 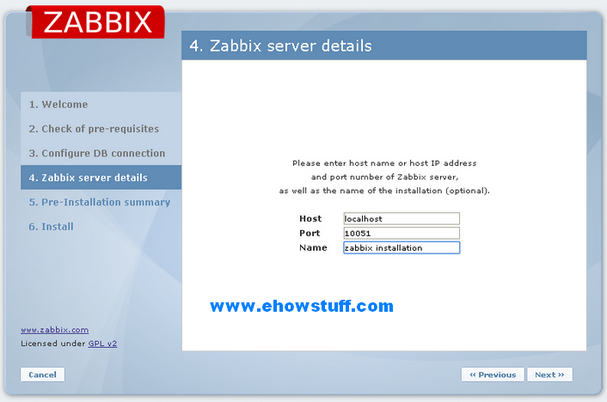 Zabbix server setup completed. You can start to setup zabbix agent now.